An 11-year-old boy stole his parents SUV and led a police on a high-speed before crashing it late Sunday night, Brooklyn Police confirmed Monday. CLEVELAND, Ohio — An 11-year-old boy stole his parents' SUV and led police on a high-speed before crashing it late Sunday night, Brooklyn, Ohio police confirmed Monday. WEWS television station has confirmed, through a police report, that this is the same boy who at 10 years old led Ohio State Highway Patrol on a 100 mph chase last fall. It started at 10:59 p.m. when Brooklyn police saw a black Dodge Durango pull into the driveway of a former city fire station. The 11-year-old fled from police and traveled out of the fire station and onto Memphis Avenue. Police pursued the vehicle heading eastbound on Memphis Avenue to Pearl Road. The 11-year-old continued to drive recklessly, reaching speeds higher than 70 mph. 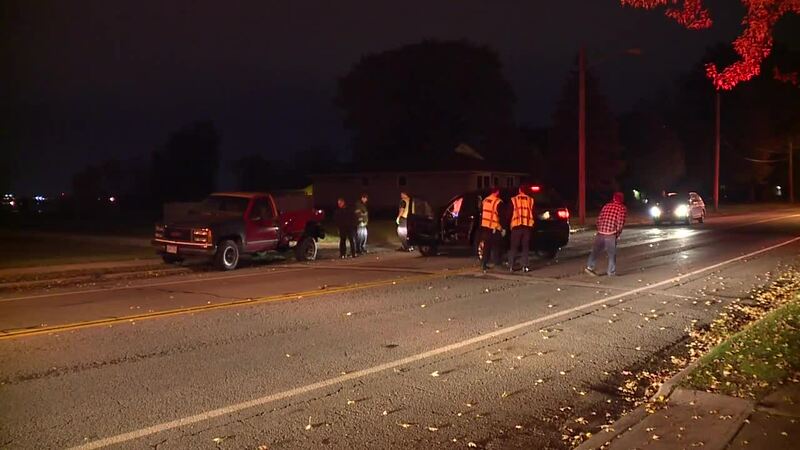 When Parma Heights police received a call from the boy's father at 11:06 p.m., saying his son was driving the Dodge Durango, officers from the Brooklyn Police Department canceled the pursuit. At 11:30 p.m., police spoke to the boy's father who received a call telling him that his son crashed into a parked truck in the area of 958 West Schaff in Cleveland. The boy was taken to MetroHealth Medical Center with minor injuries. He told officers that he was not being pursued when he crashed into the SUV. Felony charges will be filed on the driver in juvenile court, police said.